On 19 March students from Master's study programme "Project Management" together with Programme Director Inese Slūka visited “Accenture Latvia”. 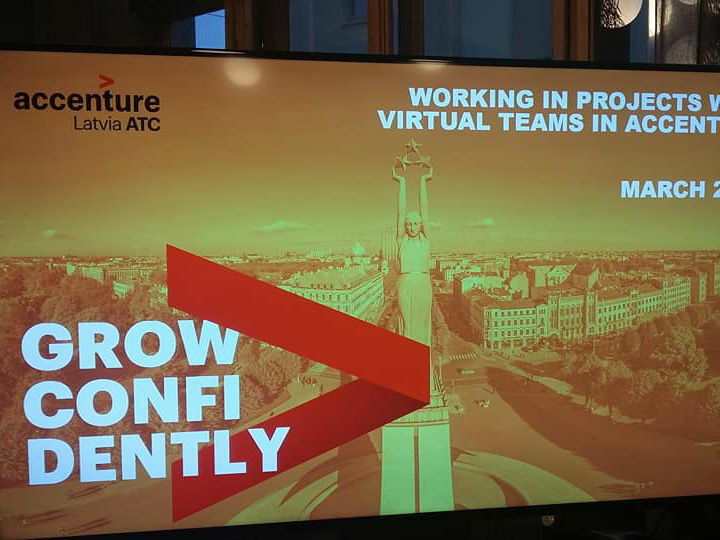 “Accenture” is a leading global professional services company, providing a broad range of services and solutions in strategy, consulting, digital, technology and operations with more than 1,300 employees in Latvia, and more than 435,000 employees worldwide. Therefore, the company's experience and the real work process in international projects is a valuable knowledge for the students studying Project Management. The topic of the lecture was "Work in virtual teams. Experience and Best practices in Accenture". Elina Smirnova, the representative of the company, told about the everyday work process, planning and work on projects between several countries and with colleagues from different regions.